The next Bangtail Muster - 6th May 2019 - Theme is "Oceans"
The first Bangtail Muster Parade was held in March 1959. Then District Officer Bill Nordavan suggested the idea, and together with Frank King, local furniture store owner appointed as chairman, the event was run by the Chamber of Commerce aided by a pound for pound subsidy from the Minister of Territories. The parade was along Todd Street, similar to the same route used today. So successful was the parade that it became an annual event with the then newly – chartered Rotary Club of Alice Springs taking over the running of the Bangtail Muster parade with associated events, as a project in 1961. The Rotary Club of Alice Springs in 2019 celebrates the clubs running of the 58th Bangtail Muster Parade. Each year the Rotary Club of Alice Springs gives a theme for the parade. 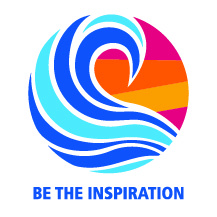 The 2019 theme is “Oceans”. The Rotary Club of Alice Springs acknowledges the wonderful support of our local community in supporting the annual Bangtail Muster Parade. To those who the preparation of last year’s parade, to those who participated, and to the public who came out in their thousands each year to watch the parade we say thank you, all of you are such an important part f our community. Acknowledgement is given that some historical information was sourced from Shirley Brown’s book, “My Alice”.